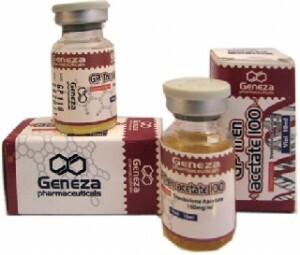 GP Tren Acetate 100 by Geneza Pharmaceuticals is an injectable steroid which contains 100mg per 1 ml in 10ml vial the Trenbolone Acetate. GP Tren Acetate 100 is a powerful injectable steroid and very popular among those who used it. GP Tren Acetate 100 is well-maintainable and quality gains. GP Tren Acetate 100 stack with stanozolol or Primo to reduce body-fat.